Nebraska has experienced historic flooding in the eastern part of the state, and devastating blizzards in central and western Nebraska, with major loss of homes, farm, and ranching assets and income. Many of our Nebraska Masonic family members (and fellow Shriners too) have been affected by these catastrophic events and will need assistance to get back on their feet. Here’s how you can help. The Nebraska Masonic Relief Fund is collecting monetary donations that will be dispersed to Masonic family members affected by the floods and storms through an application process. If the donations exceed the needs of our Masonic family, the funds will be donated to other flood and storm relief efforts. Those interested in making a financial donation to support relief efforts can do so by clicking the DONATE button below. Checks should be made payable to Grand Lodge Relief Fund, with flood/storm relief in the memo field. 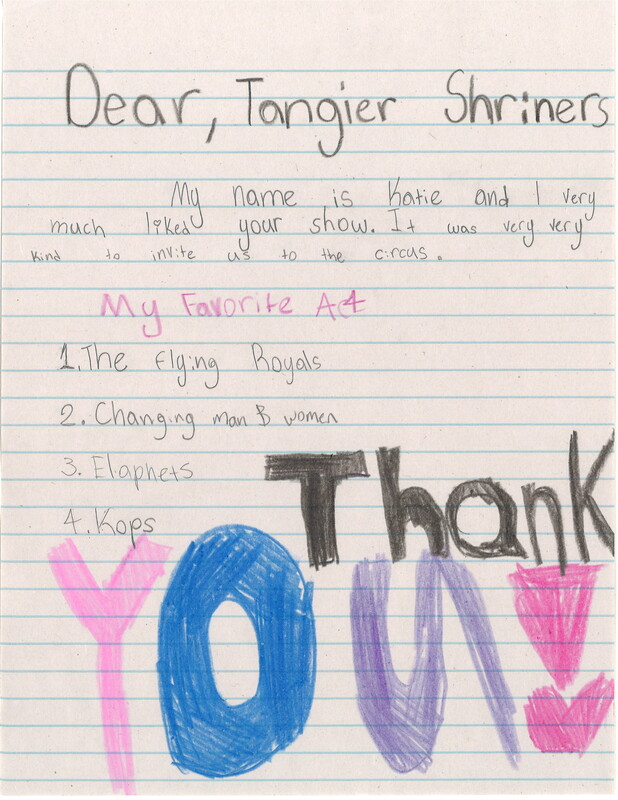 Thank you so much for your support of this relief effort. 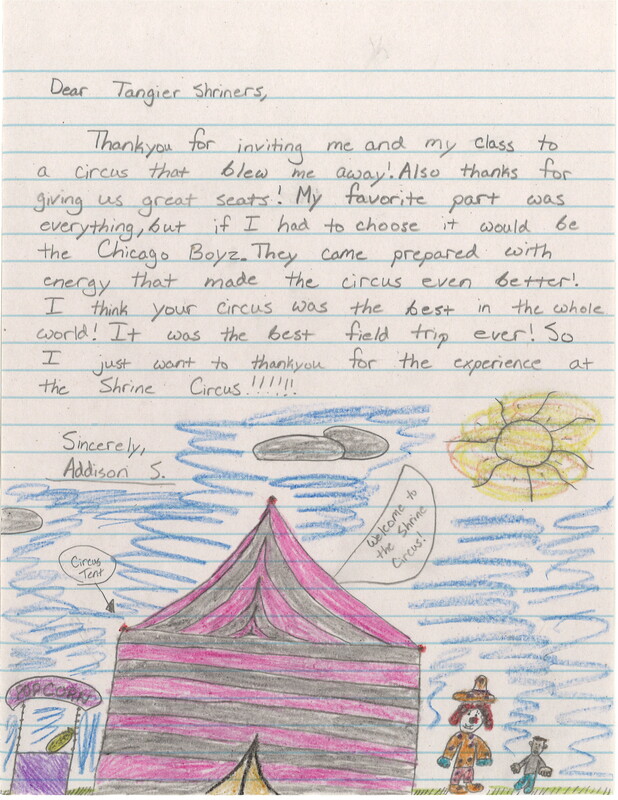 The Tangier Shrine received the following thank you letters from schoolchildren after the 2019 Tangier Shrine Circus last month. These children received free admission to the “Salute to Tomorrow’s Leaders” performance on Thursday, Feb. 21. 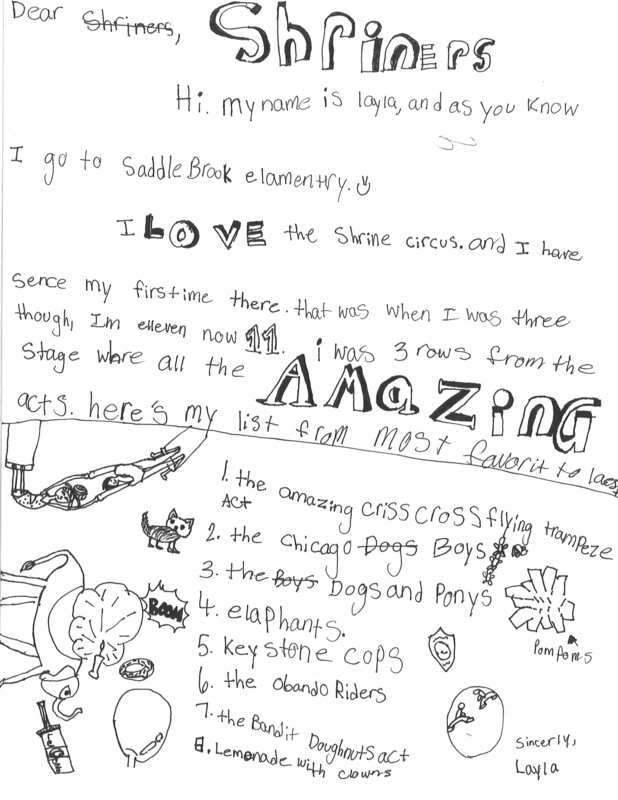 This is just a small sampling of the many letters we received. Circus Chairman Jim Turpen (as Ankor the Clown) and Tangier Circus Marketing Specialist Bridget Brooks appear on “Moms Everyday” with Gina Melton to talk about the 90th Annual Tangier Shrine Circus. On behalf of myself, my wife, and our entire family, I want to thank you and all of the Shriners for all of your assistance this year. You guys take what is a tough situation for us and make it easier! On top of that, the care we get at the Shriner's Hospital in Philly is great! Attached are a series of x-rays taken over the past 6 months that I want to share with you. 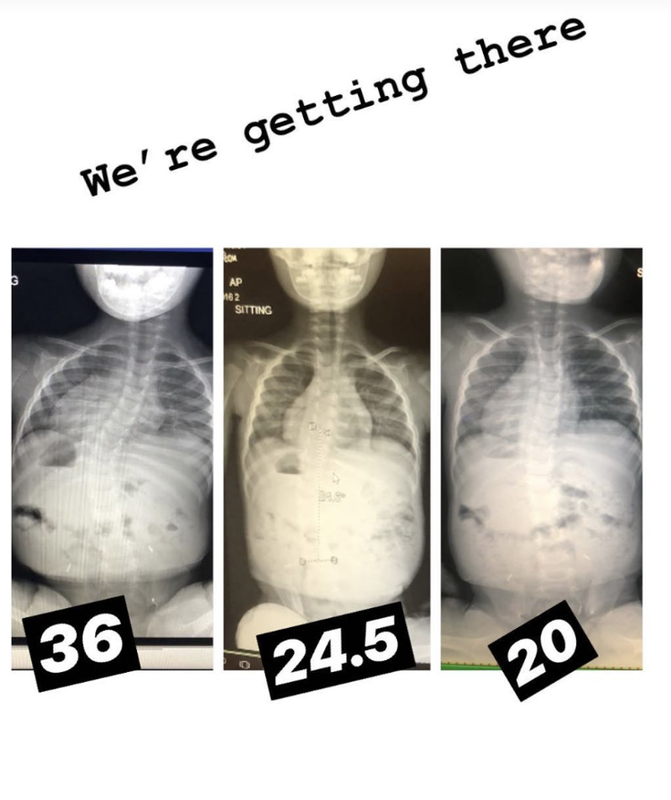 They show a continuous improvement in the spine. You can see that we started at a 36% curvature of the spine in late July and we're now at a 20% curve. The ultimate goal is to get below 10%, at which point we move to a hard plastic cast (and fewer visits to Philly). We hope that you have a Happy New Year! 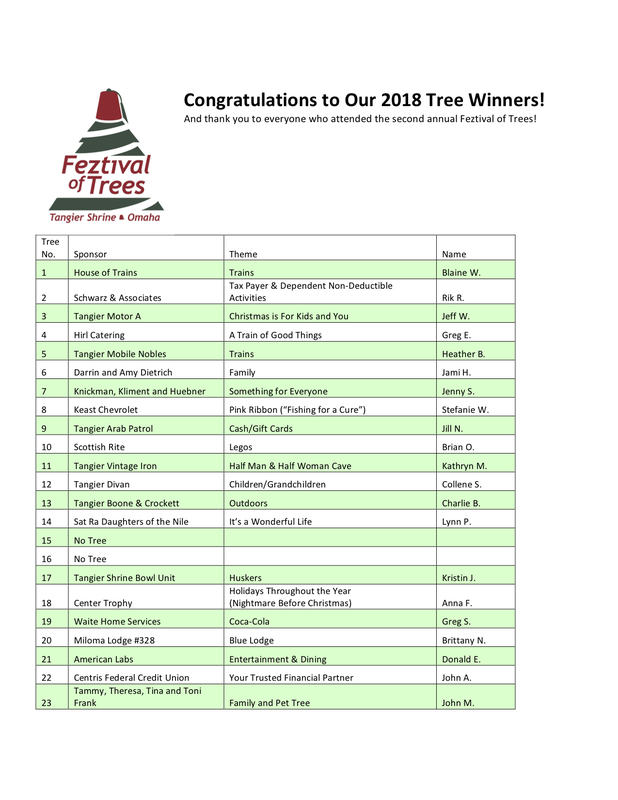 Here is the official list of winners of the 66 trees at the 2018 Tangier Feztival of Trees. 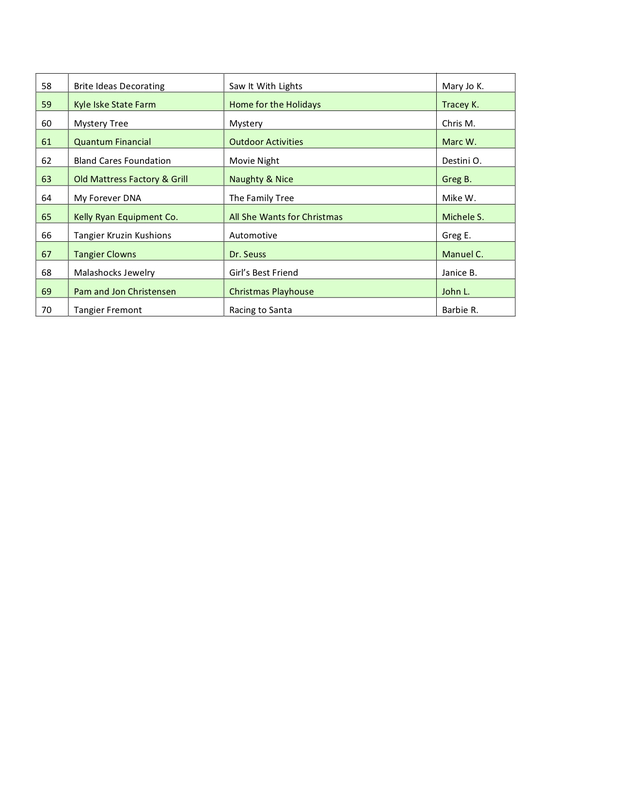 Tickets for the 2018 Feztival of Trees are now available for purchase online! Tickets are $2 each at the door. • VIP package ($25) – includes 4 admission tickets, 10 raffle tickets, reserved parking, and skip-the-line access. * Non-transferable. Pass will be issued in the name of a single person and admission is for this individual each day during the 2018 Feztival of Trees. 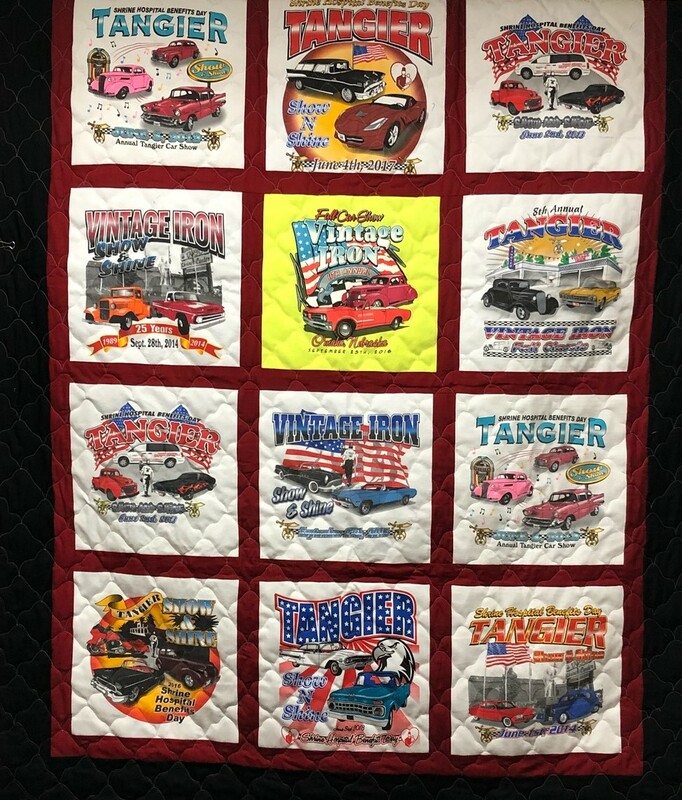 The Vintage Iron Club is raffling off a quilt made from retired Vintage Iron shirts (quilt actually longer than what's pictured here). Tickets for one for $5 or five for $20 donation. Drawing to be held Dec. 1. Winner need not be present. See a friendly Vintage Iron member for your tickets. 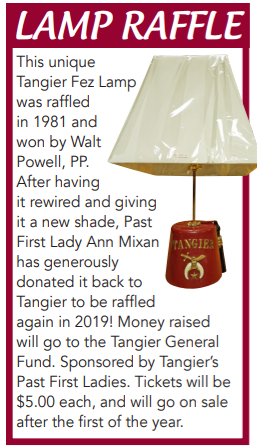 * Proceeds are for the benefit of Tangier Vintage Iron Club activities. 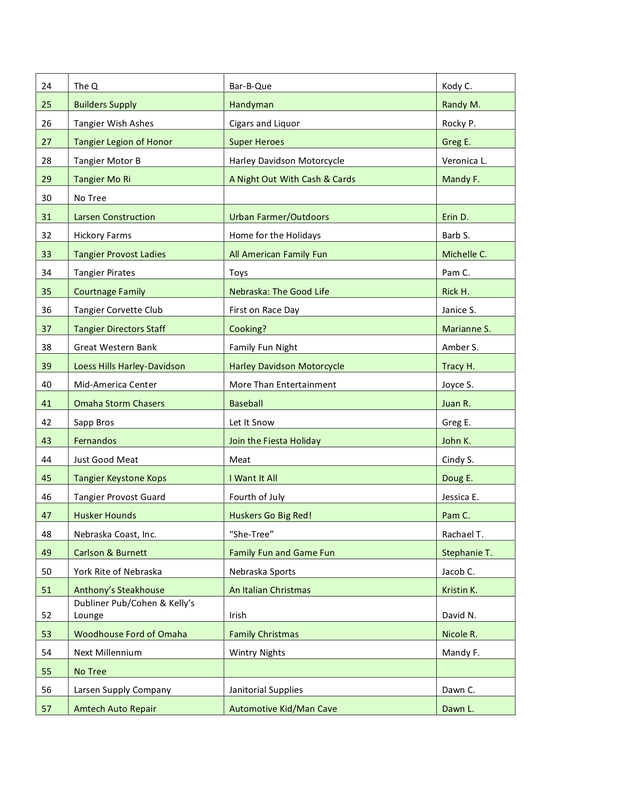 Payments are not deductible as charitable donations. 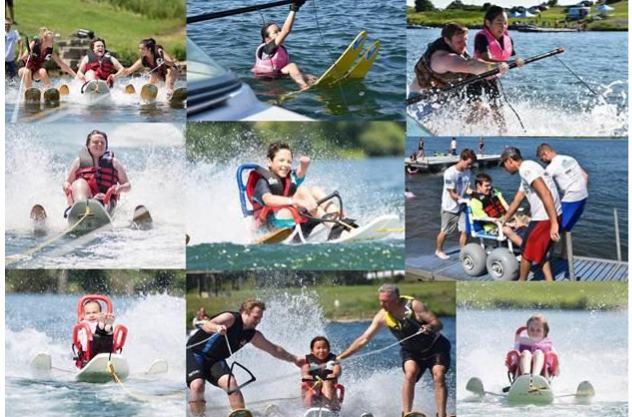 A couple of weeks ago, we held our first ever Adaptive Water Ski Event. 25 patients joined us for a fun-filled adventure. We really had no idea what to expect, but it turned out to be a wonderful and thrilling experience. Kids with all kinds of diagnoses joined us. To get out of your wheelchair and experience the thrill of water skiing was something one patient told me resulted in “the very best time of my life!” Her father drove this patient all the way from Nebraska for a 2-hour event. How awesome is that! The Shockwaves water ski club provided the volunteers and the equipment. They were amazed (and a little shocked) at how athletic our patients are. They have told us next year we will have two boats going — one for adaptive skiing with the chair and another boat dedicated to learning to ski. We did have two patients try the water skiing and, let me tell you, one 10-year old girl tried for over 30 minutes to get up on skis and her perseverance never wavered. At one point the driver yelled out “How is your tank?” she yelled back, “Full, totally full!” She did make it up for a few seconds and you could see the look of pride and accomplishment on her face. This was a day filled with lots of attempts, strong wills and ultimately many successes; kids that started out perhaps fearful and a bit intimidated, but came out conquerors. By many accounts, they had the time of their lives! 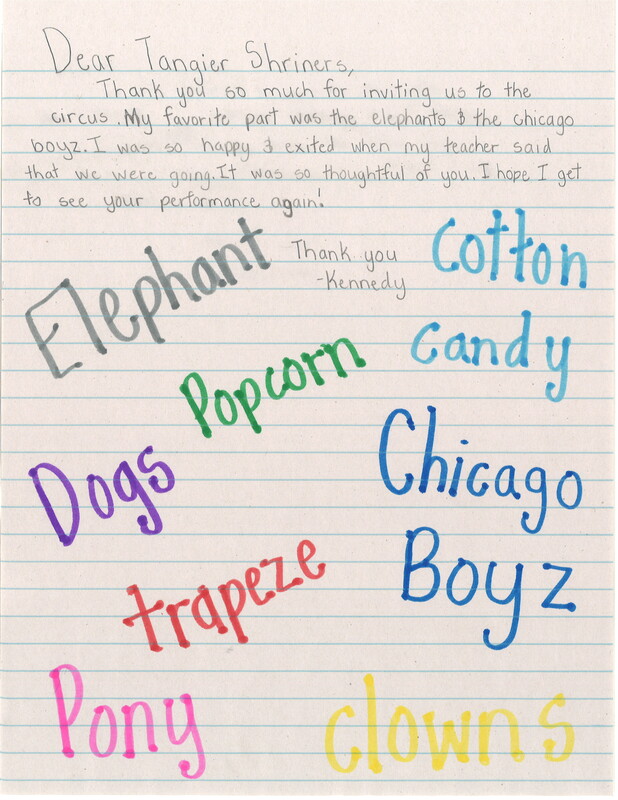 Last week, the hospital was full of middle school hormones as we hosted the Camp Achieve for the 9 -13 year olds. We had 24 kids attend, although a few could only be here for some of the days. 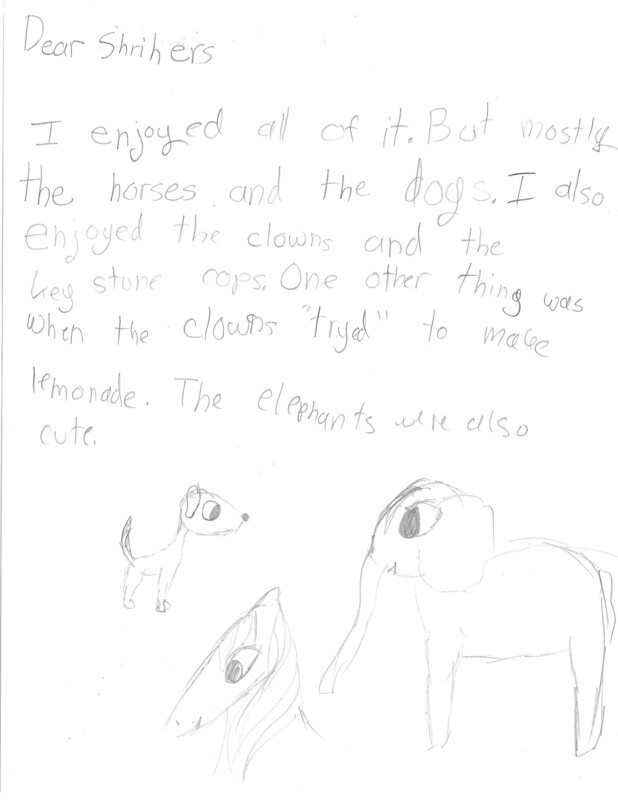 We had four new campers join us and they were welcomed with open arms and big smiles. 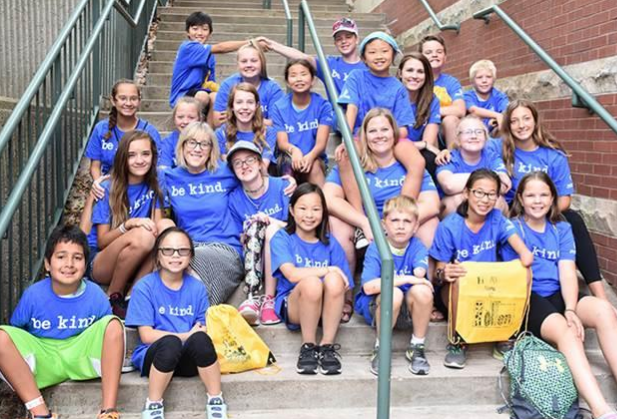 The way these campers welcome new kids to the camp is a real pleasure to witness. We started the week off by going to Fort Snelling Park for a day with Wilderness Inquiry. 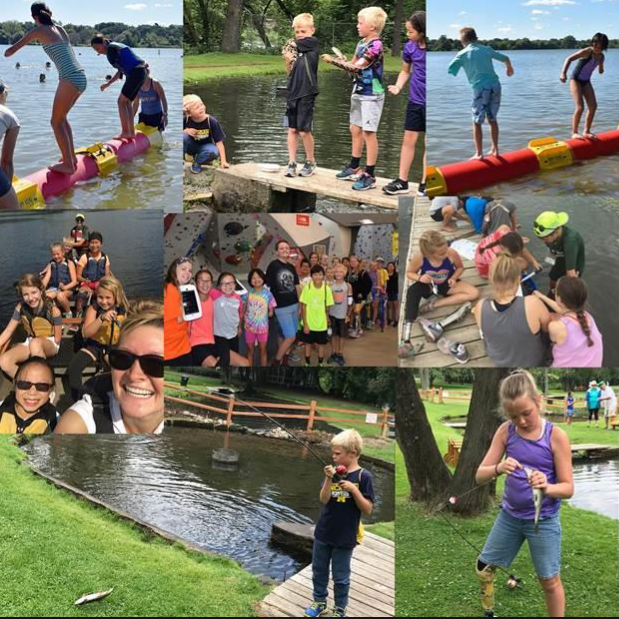 Learning about trees, checking water pollution, and canoeing were all a part of the adventure. Tuesday brought us to Lake Nokomis for Log Rolling. We had some “naturals” in the group as well! In fact so good, we were asked to come to the state fair and be demonstrators for the Log Rolling Club! The kids are very excited. We headed back to the hospital and had lots of activities out in the back yard and on the patio along with the rehab department. Wednesday, we headed to Wisconsin for some trout fishing. The campers caught 295 pounds of trout in 2 hours! While on a break from fishing (before they brought the Rod and Gun club to bankruptcy! ), the kids laid on the docks and the bank and tried to catch the trout without a pole! Jordan was the king of “pole-less fishing,” he caught one in his “regular hand” and one with his prosthetic arm! Everyone was so impressed. And how fun to watch the kids cheer him on. Some kids brought home the fish and most parents were excited… maybe a few looks at staff of why??? Then one exchange between a mom and her son Mom: “Did you bring some home?” Son: “No mom, dad is busy this week so I didn’t think I should.” Mom: “Are you kidding me? Who cooked the fish last time? ?” Son: “Oh sorry mom… next year I promise.” Thursday we headed to Vertical Endeavors, where the kids were really challenged as they headed up many walls or worked on the slack line. Again, having the kids cheer and encourage each other is so great to see. This brings to a close to the camp programs for the summer. It has been fun, exciting, rewarding for all, maybe a bit hectic, but always well worth it! Numerous kids’ lives were hopefully transformed for the better. 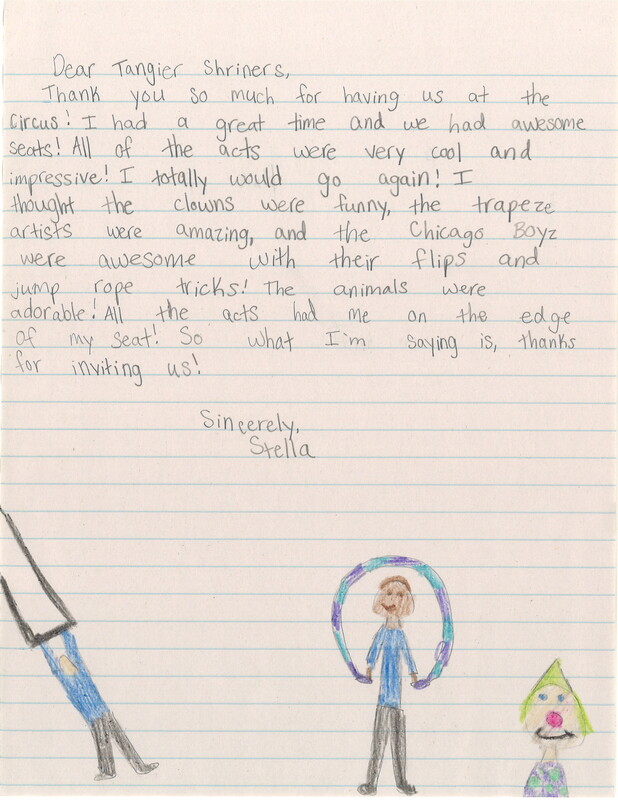 Hopefully they learned a lot, gained some confidence, made new friends, and definitely challenged themselves. That is what all the camps and the extra events were designed to do. I know I challenged myself(!) and the kids have once again taught me more about preserving and positive attitudes than they will ever know. So for 2018, that is a wrap of our camp season. Until next summer! 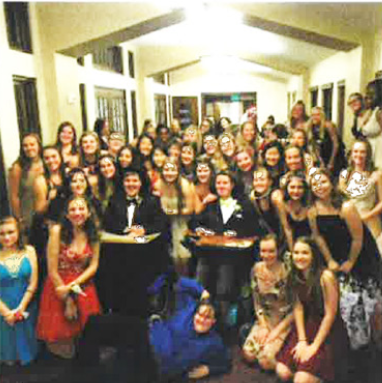 The Shriners Hospital for Children–Twin Cities held its eighth annual prom on Saturday, April 7. The night is a highlight for patients and staff alike. Thank you to all who were involved in making this a special event — especially the Minnesota School of Cosmetology for setting up a pre-prom salon, where all prom attendees were invited to get free hair, nails, and makeup done. Teens who have endured a variety of surgeries and treatments for orthopedic conditions throughout childhood were able to forget about their special needs for the evening and experience going to prom. Patients even traveled from North Dakota, South Dakota, Nebraska, Iowa, Michigan, and Wisconsin to attend.